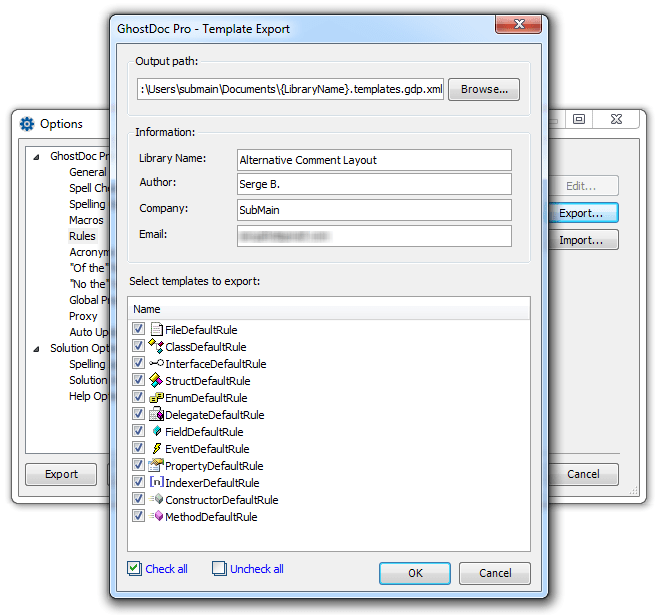 While GhostDoc Pro T4 template mechanism provides maximum flexibility how you can tweak and reconfigure your XML Comments and even regular comments, until now there was no easy way to share the set of templates with your team or the community. Today we are introducing Template Libraries – you can Export the whole set of your custom templates and distribute it as one file which can be imported. Template Library includes meta-data – the library author, company name and contact information. To access the feature use Options -> Rules -> Export. 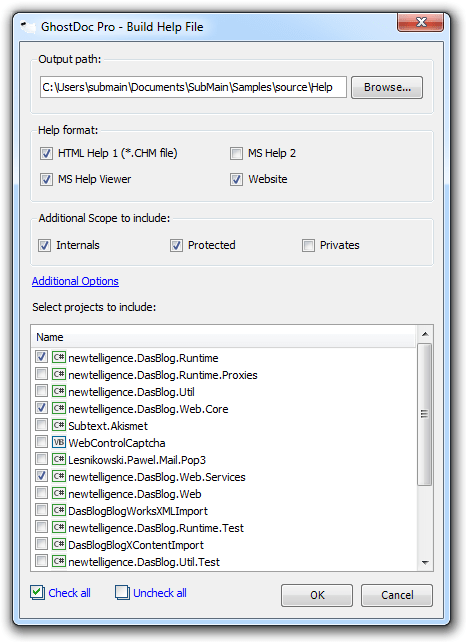 We will be hosting a section on our web site where we publish GhostDoc Pro Template Libraries we release. If you have specific comment formats you want us to release, send your requests in. We also want to encourage sharing your templates with the community. Contact us if you have template library you was us to publish. When we introduced a simple single click way of generating help file from your project XML comments, we realized that just one CHM format is not enough and we would need to add options to tweak your help file output.